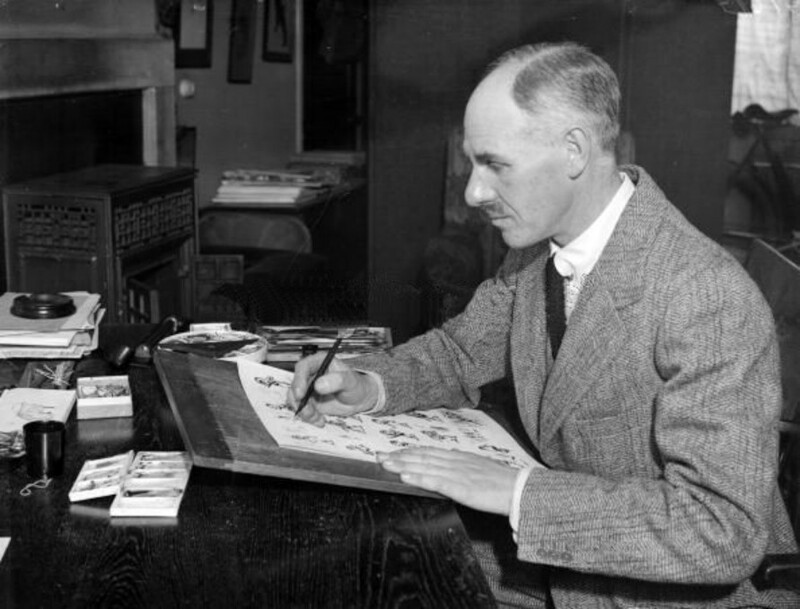 Tomorrow (11 April) sees the launch of the The Man Who Went Made on Paper, a retrospective exhibition of the work of H. M. Bateman (1887-1970) at The Cartoon Museum, London. Yesterday a team of plucky volunteers (myself included) and staff erected this huge exhibition (certainly featuring more pictures than I’ve ever seen in the museum) in our now typical frenzy of activity. Bateman is perhaps best known for his “The Man Who…” series, yet the exhibition reveals a cartoonist whose concerns (like those of so many great humorists) reach beyond the contexts of his own time. His A Slight Misunderstanding At The Till, for example, takes a swipe at police heavy-handedness in a manner which would no doubt resonate with supporters of UK Uncut. I’ve uploaded some pictures from ‘the hang’ here and heartily recommend anyone interested in comic art visit this delightful show. The Man Who Went Made on Paper, opens 11 April and runs until 22 July at The Cartoon Museum, 35 Little Russell St, London WC1A 2HH.